Vintage purple sequin Christmas ornament shaped like a bell. 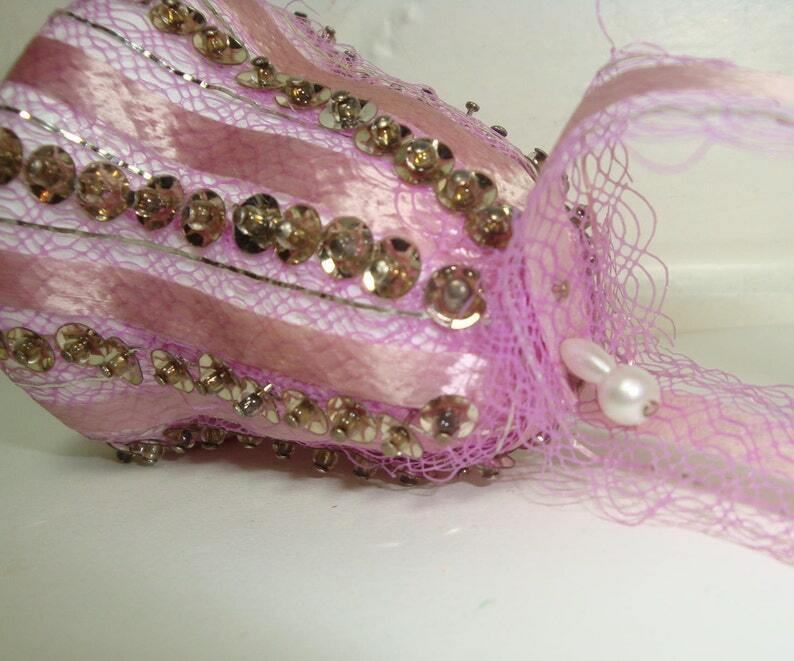 Ornament is covered with ribbon with netting and sequins. It has a ribbon loop to hang from your tree. 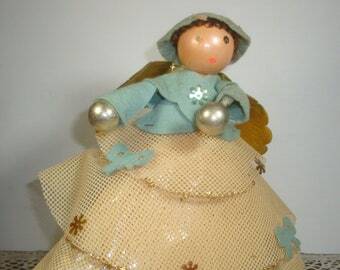 Perfect for a shabby chic Christmas tree, or even for Easter with the beautiful pastel color! Measures about 3" tall. The bell seems to be styrofoam. Appears to have been handcrafted, possibly from a kit. Would you like to see similar ornaments? I'm happy to combine shipping. 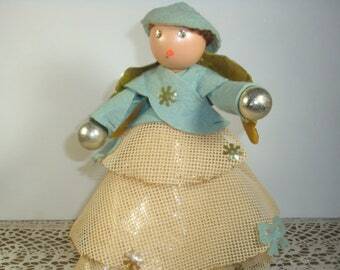 More handcrafted 1970's retro ornaments? Combined shipping available. Questions? Please ask! Your idea of vintage and mine may not be the same and I want you to be happy with your purchase.